We have two geldings and two mares for sale We are located in Southeast Nebraska south of Omaha and east of Lincoln in Nehawka, Nebraska. If you'd like to come and visit and see the horses please call or email us. 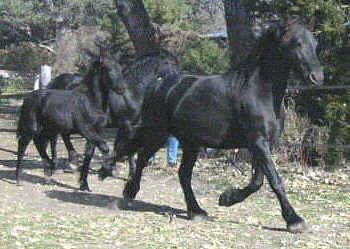 Currently we have four of these beautiful black horses. Eileen, Espada, Zefra and Arikara. 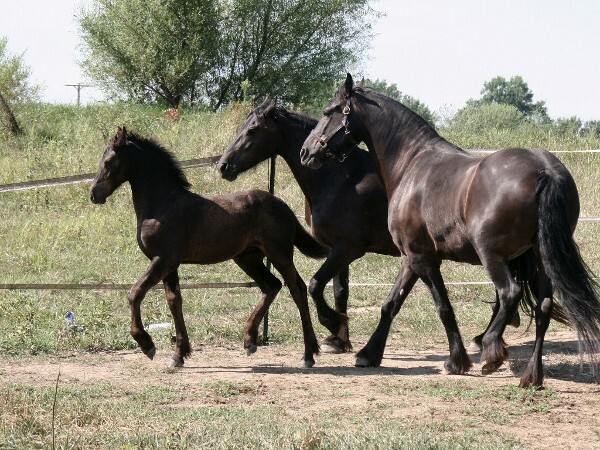 They are all registered in the original Friesian studbook, the FPS/FHANA registry, commonly called the Dutch Registry. 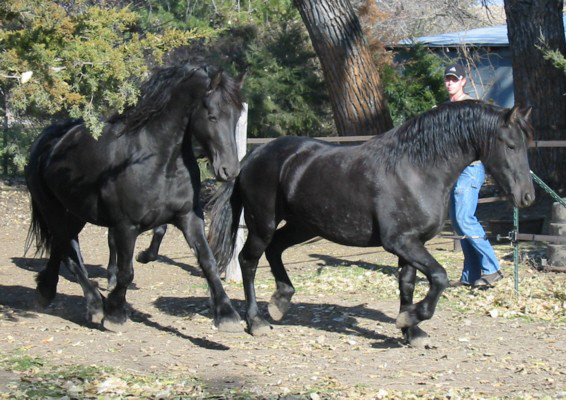 For more information on Friesians and the studbook see http://www.fhana.com. 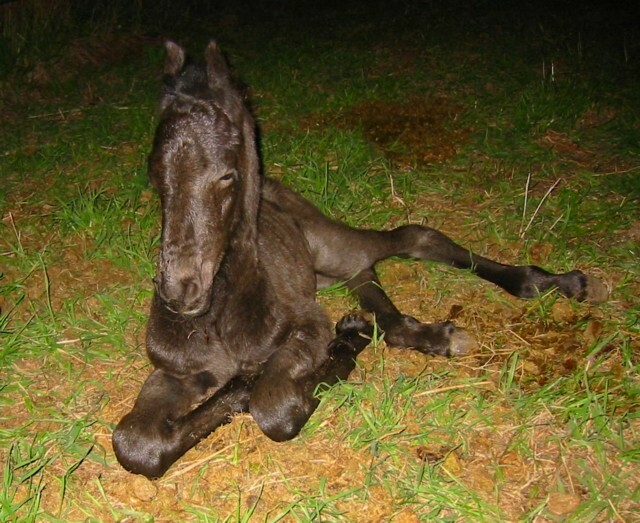 Top, Arikara just born. Bottom, Arikara waiting to be judged at the 2008 Inspections. Top to Bottom: Zefra standing to be judged at the 2008 Inspections; Zefra, Eileen and Maya; Zefra; Zefra; Eileen and Zefra. Photos by Kate Woodard. All of these are Maya and Eileen. The back one is Eileen. 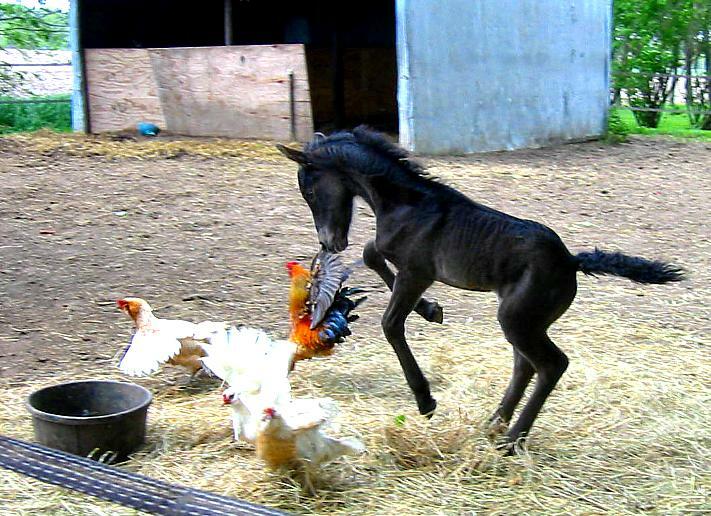 For pictures of Eileen's sire go to http://www.ironspringfarm.com/photo-gallery/2012-10-22/goffert-369. 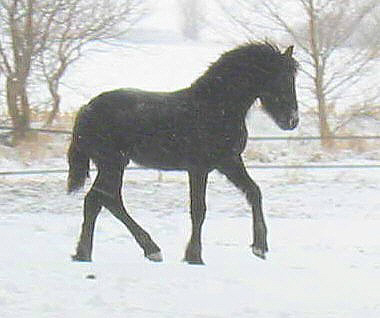 Her first foal out of Fieke, Siapa, was a second premie at the 2005 Inpsections, her next foal out of Fieke, Zefra, was a second premie at the 2008 Inspections. 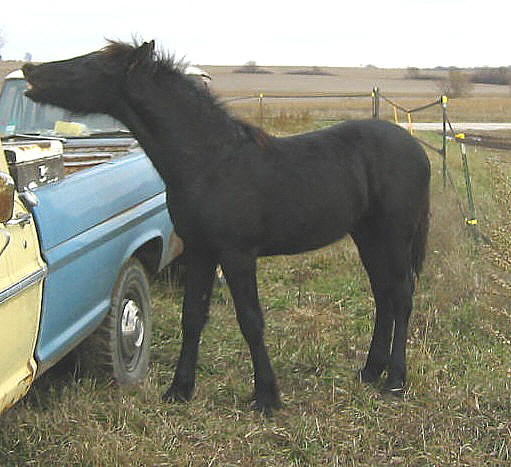 Her next foal out of Nanning, Arikira, was a first premie and champion foal at the 2005 Inspections. 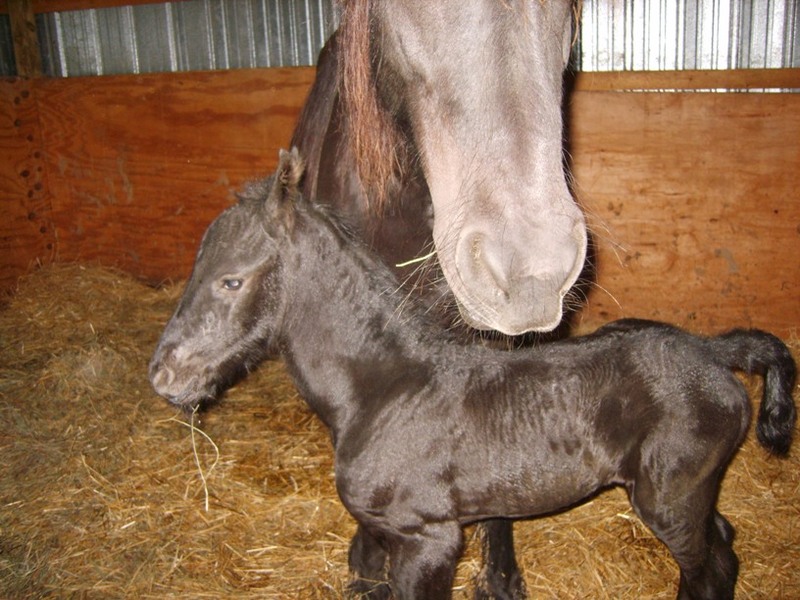 Her next foal out of Nanning, Espada, was a third premie and reserve Grand Champion Gelding at the 2012 KFPS Central States Breed Inspection. 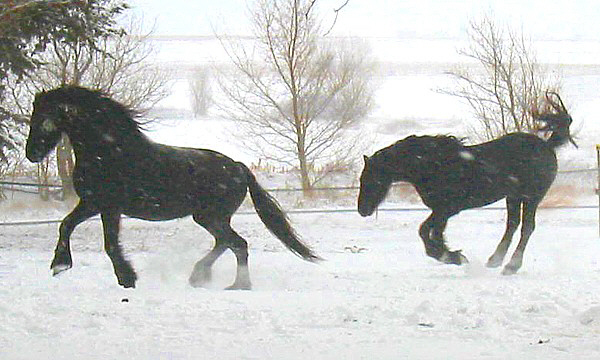 The one on the left is Eileen and the one on the right is Inca. SOLD: Eileen's filly, Siapa Born May 11, 2005. 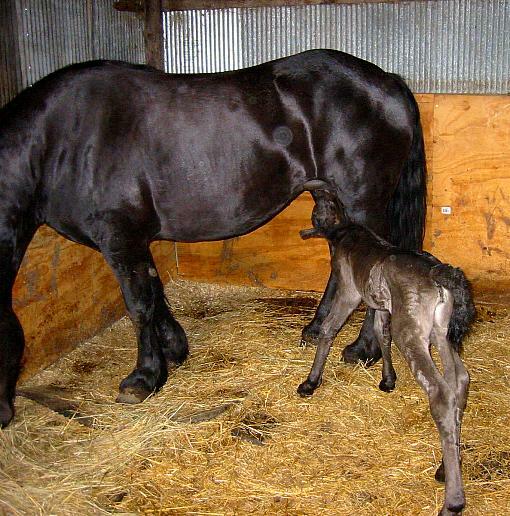 She got a second premie as a foal at the 2005 Breed Inspection in Baldwin, KS and made Star as a four year old. 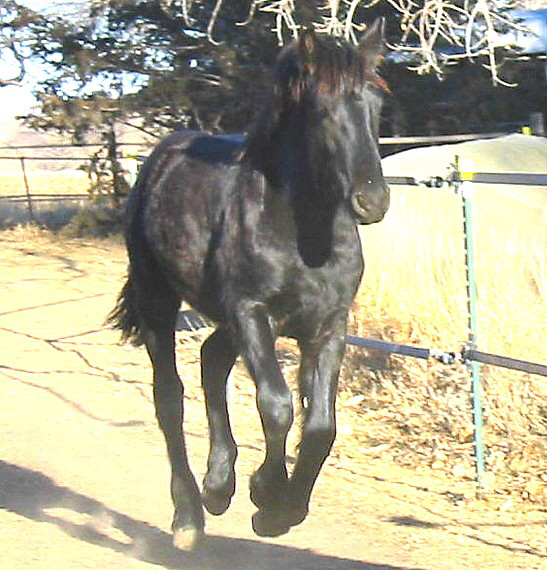 Kiawa is a mare from the FPS/FHANA approved stallion Feike and our mare Maya. 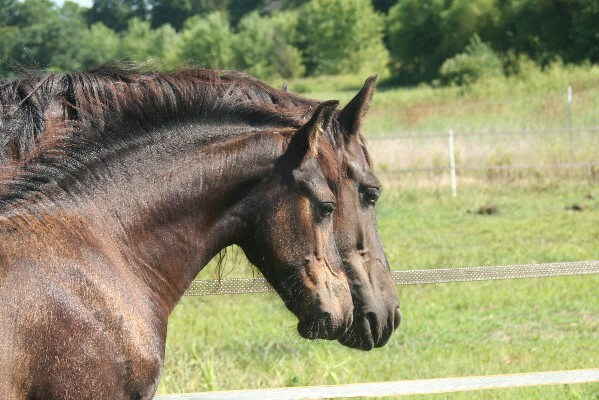 She is a beautiful horse with a very arched neck and beautiful movement. She was judged second premium at the 2003 Inspections. 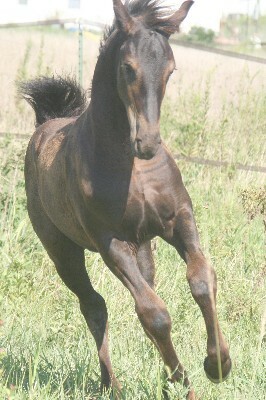 To see Kiawa's sire go to http://www.royalcarouselfries ians.com/infopages.htm. Here is Kiawa, Eileen and Inca in August of 2003. Inca a few hours old with Maya. 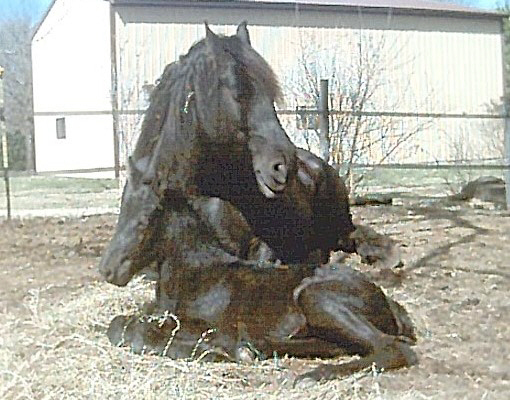 Maya is the oldest and the mother of our other Friesians. She was born in April 1996 in Bielefeld, Germany. 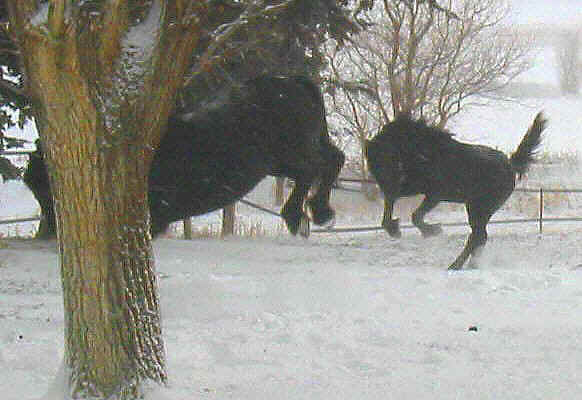 We imported her with her foal Eileen in the spring of 2001. 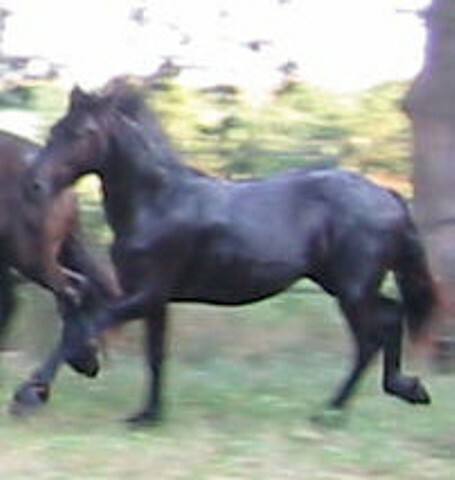 We are using her as a brood mare and for light riding. 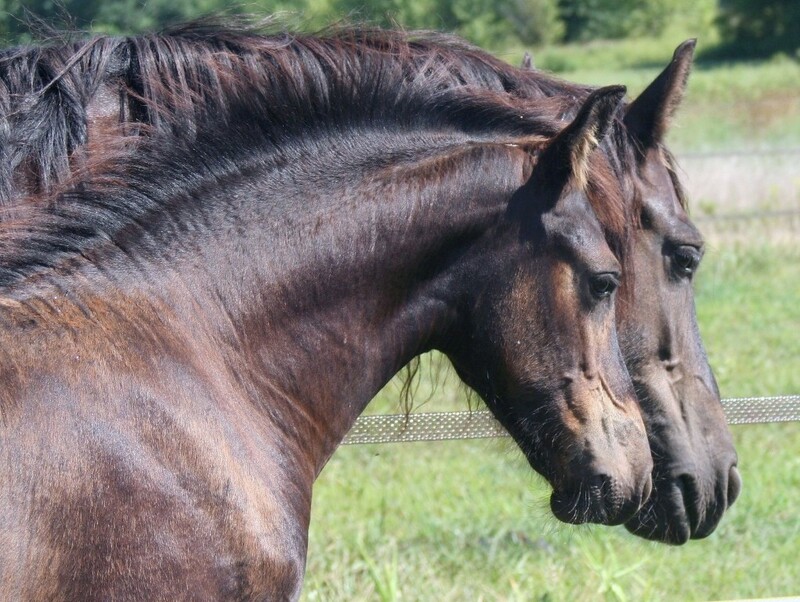 She is 16.3hh sweet, smart and a wonderful, attentive and gentle mother. 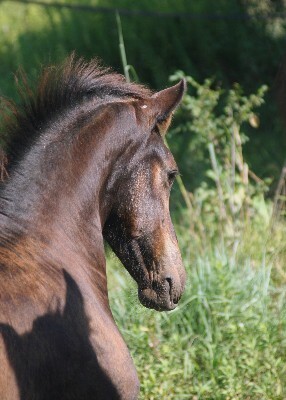 For pictures of Maya's Sire go to http://www.markus-neuroth.de/html/jakob_302. html. Maya on the left and Eileen on the right. 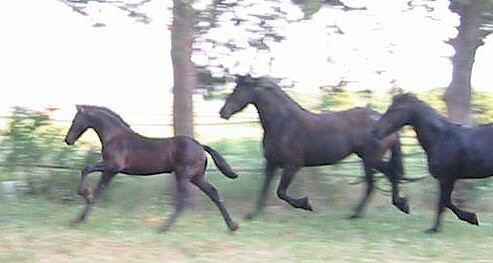 Maya's offspring have made 2nd Premie as a 3 year old, Eileen, 3rd Premie as a foal, Inca, and 2nd premie as a foal, Kiawa. 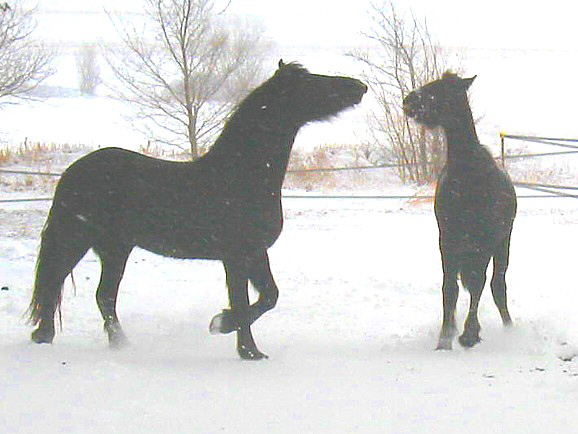 Her grandchildren, by Eileen, have made 2nd, 2nd and 1st premies as foals or yearlings. These pictures and materials Copyright 2003-2009 by Michael Bush unless otherwise noted. Please do not republish these without express permission.